Keeping a railway line active in a country like Romania that sees heavy snowfall is a full-time job. 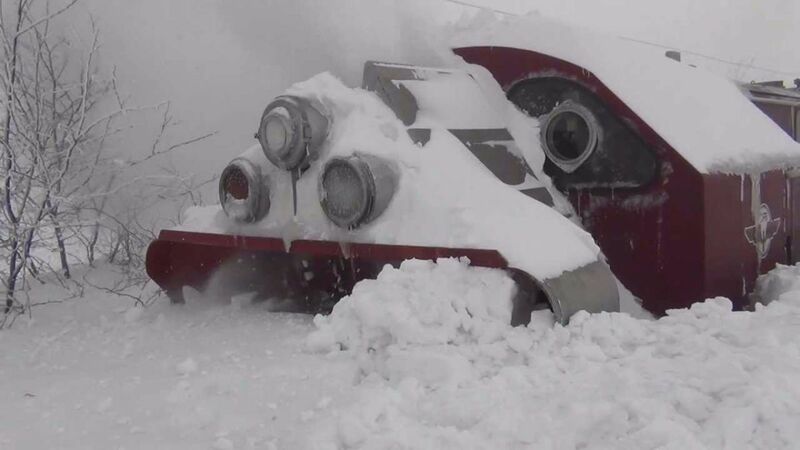 Here we get to see a huge snow blower working hard to try and shift some snow, and despite its large size it sometimes seems like the snow is winning! Railroad systems are important throughout the world. The railroad system sparked the economic growth that pushed many countries to be the world superpowers they are today. Railroads enabled rapid and almost effortless cross country travel and in some cases reduced travel times by up to 95%. America is no stranger to these harsh conditions. Locomotives traveled through our country year round, and while not an issue in the south or southwest, the freezing temperatures and months of snow found in northern areas proved to be a formidable obstacle to these iron giants. After much pondering, designing, and testing the best and brightest locomotion engineers found a solution - locomotive mounted rotary snowplows. 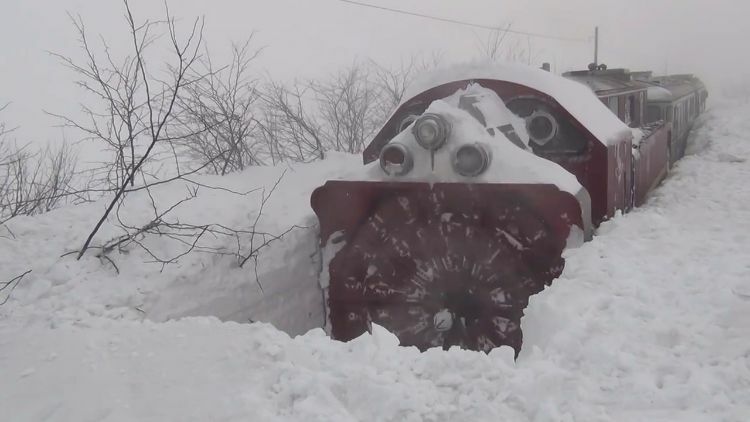 These giant contraptions like the one in the video look almost like fans mounted on the front of train cars, with massive blades that cut through the snow and force it through a channel to an output chute that throws it away from the tracks. On some routes that receive inordinate amounts of snowfall, small trains would be put together with plows on both ends, separated by a few cars. These snow trains would work from end to end of the line, clearing a path for the larger passenger and freight locomotives that ran behind them. You can learn more about American-based locomotive mounted rotary snowplows at Utah Rails. The beast in the video is employed on the Romanian rail lines. As you can see, the snow is piled up almost level with the rotary plow; this train is working through 8-feet-high freshly fallen snow! Here's Liebherr demonstrating why their LR range of mobile tower cranes has no equal. Versatile and powerful, this 160M CAT has some nifty blades for sure.